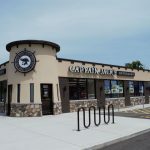 Captain Jack’s Beverages opened in July 2018, brings specialty beers, wines, liquor and cigars to the Village of Worth, A long vacant store was transformed into an attractive building on the main street of Worth. The Enterprise Zone, helped make this family business financially possible. When Sears Retail Center closed their Alsip location, this property sat vacant for several years. Early in 2018, Luv 2 Play, a national franchise chose Alsip, Illinois as their newest location. Being in an Enterprise Zone helped make the project financially viable. They join Charter Fitness, and Four Seasons Leisure Living, in improving the area, and bringing a great family entertainment venue to Alsip and surrounding areas. 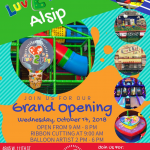 The Village of Alsip is excited to welcome Luv 2 Play, and the real estate tax base increase their project brings. Levi, Ray & Shoup, Inc., founded and headquartered Springfield, is a global technology solutions company. 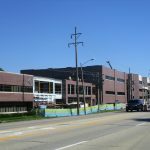 They recently invested an estimated $21 million to expand their corporate headquarter office, demolishing four older structures to make room for a new modern facility, adding approximately 75,000 to 80,000 square feet to the main office located at 2401 W. Monroe. This development will allow the company to retain 300 staff members and attract the additional workforce needed to help their business grow. The company intends to complete construction in the winter of 2018. 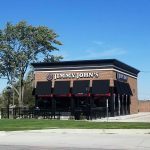 Jimmy John’s brand new location in the Village of Rantoul is perfectly poised to serve the 27,000 vehicles that pass through on I-57 daily. This 1.5 million dollar project has created 10 new positions in the Village of Rantoul. The site, located at 710 and 710 1/2 W. Champaign Ave. (U.S. 136), opened on September 12, 2017. 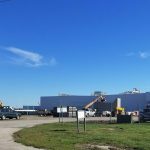 Rantoul Foods, LLC has decided to expand their operation. On September 5th, 2017 they broke ground on their latest 45,000 sq. ft. expansion which will provide the company with additional space for shipping, storage, and process floor space. This $22 million dollar expansion retained and created 500-700 positions in the Village of Rantoul. The project is expected to be completed by the end of June 2018.